I mounted a Millett DMS-1 on a SIG 556 using a Wilson Combat one-piece 30mm mount. I had to put it on with the nuts on the left side because on the right side they interfered with the cocking handle. Is that a problem? Will they come lose under recoil? I'd use some BLUE thread lock if your worried about them coming loose. It shouldn't make any difference which side you put the nuts, you did right to clear the working parts. You DO realize that you need to post pictures for us, right? I did add some blue loctite and here are some pics! I shot it this morning using 55 gr South African surplus .223 and some 62-grain Prvi .223. Both shot really well. The first two mags the action cycled a little slow a couple of times and the bolt didn't stay open after the last round. However, after that, everything worked 100%. I assume it was just a combo of new gun and new mags. I used the SIG factory mag, two Magpuls and an old USGI mag. How do it's handling qualities compare to an AR15? Is there anything you particularly like or dislike about the 556? How easily does it break down for cleaning? Sorry for all the questions, you're the first guy I've talked to that has one! It breaks down for cleaning pretty easily once I read the instructions. It is nose heavy compared to an AR15 but not by much. It did well with 55 and 62 grain ammo from 2 different manufacturers. I can flip off the safety with my thumb but I cannot quite reach it to turn it on w/o taking my hand off the trigger. 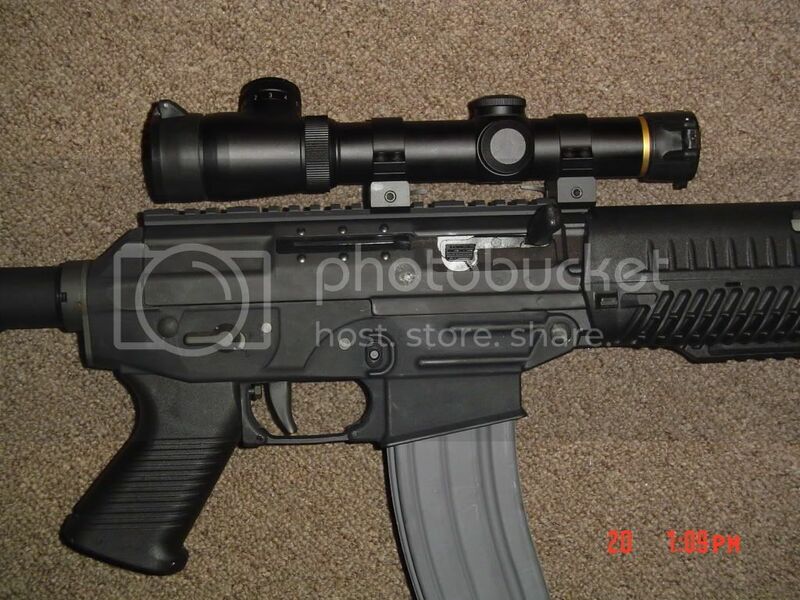 I'm running the same scope on my 556 SWAT, but with the $23.00 CAA mount. Works great. 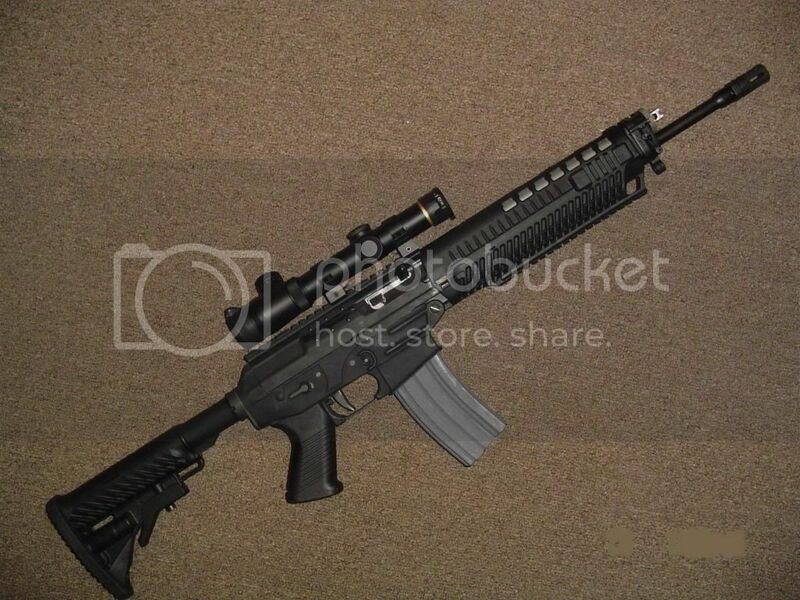 I stole the Millett off my RRA AR15, so now I'm purchasing another one for it. So far the Sig is shooting 3/4 MOA with 55 gr. and 62 gr. ammo. It's supposed to get even nicer with heavier bullets due to the 1 in 7 twist. I use an eoTech, or the Leupold 1.5-5 circle dot ill. I bought from SWFA... love that scope, too.